When Caterpillar closed its construction machinery plant in Newberry County in 2016, it had hardly vacated the premises before Samsung rushed in to build its first North American production facility. “The timing couldn’t have been more excellent,” said Misty West, general manager at West Electrical Contractors and secretary for the Newberry Business Alliance. For one, Samsung hired former Caterpillar employees just as their severance packages were coming to an end. 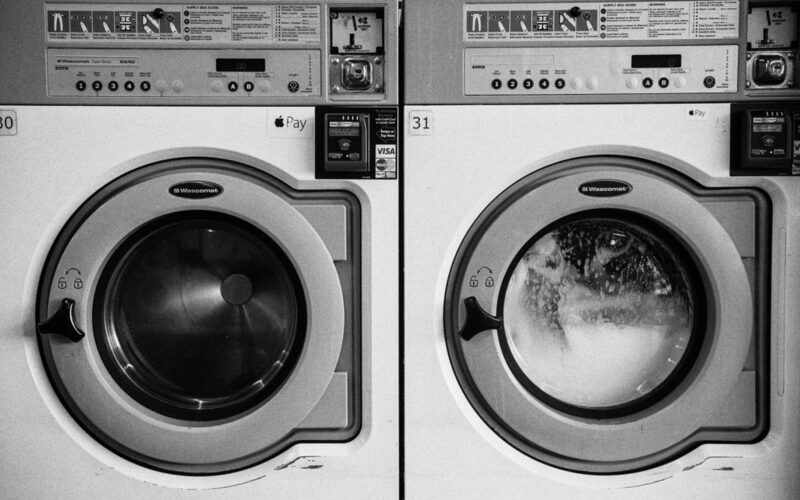 For another, it invested more than $350 million in the production facility and started domestic production of its washing machines in mid-January this year, just a week before President Donald Trump announced his tariffs on washing machines. The Newberry plant is now working on a second line of top load washers. Trump’s tariffs will adversely affect American consumers by raising prices on washing machines, but they have also created jobs in a few communities like Newberry by spurring foreign businesses to manufacture domestically. For South Carolina, Samsung is just the latest in a string of successes in foreign recruitment that has strengthened the state’s already thriving manufacturing sector. “We were excited of having a company with such a great international reputation,” said Wayne Adams, the county administrator in Newberry County. In response to Trump’s protectionist stance, South Korean businesses are tackling the American market more aggressively than they have in the past. “We say this is the time for them to come even more to the U.S., not just because of protectionism, but because of that,” said Sungwook Cha, director of North American KOTRA, a Korean trade-investment promotion agency. LG, which is also affected by the washing machine tariffs, has announced that it will accelerate operations in its Tennessee plant. It had planned to start production next February, but it announced plans to move that date up to the end of this year. It fears that the tariff will cause a drop in its U.S. sales, though the tariffs will likely become ineffectual after LG begins operations. Until then, LG announced that it will be raising washing machine prices. “They need to have their presence in the U.S. to deter any of those measures, so we encourage them to export, but also to think of incorporation in the U.S.,” said Cha. Samsung is not the only foreign business investing in South Carolina’s manufacturing sector, a sector that includes industry giants like Boeing. In 2017, BMW and Volvo expanded its operations in the state, which will create more than 2000 jobs over the next four years. The foreign investments earned the state a top “A” grade for manufacturing in 2017, according to a Conexus Indiana manufacturing and production report card. Foreign businesses like Samsung are attracted to states like South Carolina and Tennessee for their access to ports and rails, but also because both states are right-to-work states, meaning that unions are weaker. Wages are 3.1 percent less than they are in non-RTW states. More than half of U.S. states are right-to-work states. “From a corporate point of view, it makes perfect sense to locate your production in low cost areas,” said Stan Shipley, an economist at Evercore ISI. For Newberry County, however, Samsung is bringing higher wages. With some 630 current employees, Samsung is already the second largest manufacturing employer in the community. About 325 people were working at Caterpillar when the company announced closure, which employed nearly 400 people in its heyday. And the pay is higher as well: Starting pay at Caterpillar was around $11.50 an hour, while Samsung is paying closer to $14 an hour. However, economists say that tariffs are likely to cause more harm than good, because they disrupt global supply chains built up over decades in trade. Tariffs may benefit a few communities, but not American consumers. “Tariffs will help a significantly few people in an industry and it will hurt a lot of people a little bit,” said Shipley. Unemployment in Newberry is low, hovering between 4 and 4.5 percent, so losing Caterpillar was never going to have a disastrous impact in the community. In addition, the acquisition of Samsung has improved local Newberry businesses. Newberry is developing housing for the first time in two decades. Local hotels report full occupancy, as Koreans move into the community. “Newberry is in the world and the world is in Newberry,” said Adams. Even more significant than this, however, is that, with more than full employment, Newberry is looking into workforce development. It’s workshopping apprenticeship programs for students in its middle schools and high schools. County leaders are hoping to develop a place where their children can work when they grow up and finish school, as opposed to leaving and going elsewhere. “Samsung offers that potential,” said Adams.